Almost three years ago, I had the privilege of sitting in on a number of incredibly awesome sessions at Hubspot’s Inbound conference in Boston. I mean, wow. W.O.W. It was only the first full day, and I got to meet other marketers, CEOs, Entrepreneurs… all super cool in so many different ways. And all there to learn, inspire, and BE inspired by others. Spark change. Create the unthinkable. Do better. So often we become driven by the results, and the more they steer us in a linear path to their ‘glory and divinity’, the further from our goals we travel. This has always been clear to me when it comes to marketing and team-building, and more recently, in life in general. 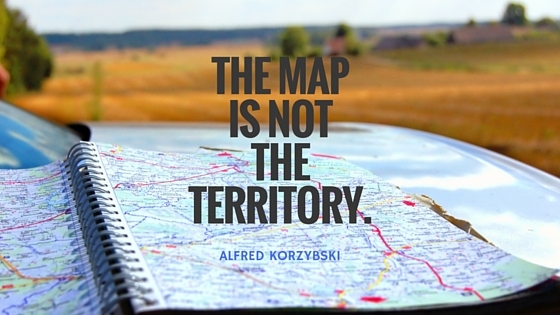 If we focus so intensely on the results, that pinpoint on the map, we lose the opportunity (ies) on our journey. In marketing and entrepreneurship, too, we all have a plan. But, as Brian said, the plan is not reality. This was once blasphemy for this control freak, but today I took it with a smile. He continued, “Start, observe, and then adapt.” Yes, Brian. WooHoo, YES! We have to start. So often this is the hardest part, the biggest hurdle. But we can do it! Because as we head down that road, we are going to observe! Check up on our vehicles and our travel partners, check out new places and paths to travel down. And guess what? If they’re not working, we’re going to adapt. Make changes. Get us to our goals in the ways that best serve us and our companies and our clients best. 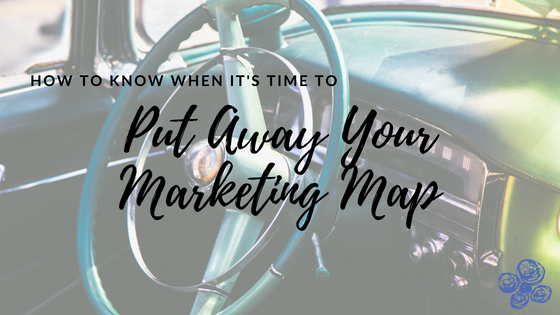 If you are a bit lost in your marketing efforts, not sure how to get to that place, that thing that you’re looking for… pull away from the map. Sometimes a bit of clarity and a fresh set of eyes can make all the difference. I know, I know, I’m all about the plan…and I’m not saying to ditch your plan altogether or not even have one. I’m just saying sometimes you have to pick your head up and take a look around! Your strategy may have something bigger and better in store! Take a look at the territory and see the topography. See the landscape and look at what you’re experiencing on this journey. Check out that awesome BBQ place! What opportunities have come up along the road? In our family, we do road trips. Myrtle Beach, we drive an hour or two on a whim, and I can drive to DC with my eyes closed. But some of the best memories of these long stretches in the car are where we stop. What we notice. Where we pit stop so the girls (and mom!) can get out and run around. We detour. We try new things. And we always get back on a path that takes us to our destination. I’m psyched I’ve learned to enjoy not only the destination but the journey. We do process…and I think everyone needs to want to do the process, too.